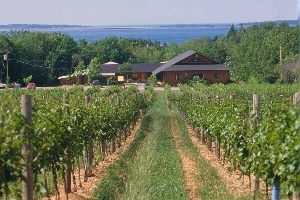 Jost Vineyards is found along the picturesque Northumberland Strait, just off the Sunrise Trail in Nova Scotia. We utilize delicious Nova Scotia fruit, maple syrup and grapes for our Nova Scotia wines, creating wines that best speak of what Nova Scotia is – clean, beautiful, relaxing and exciting! Enjoy daily winery tours during the summer and year-round complimentary tastings. Experience Nova Scotia wine and award-winning taste at Jost Vineyards! I really don’t often drink much wine or any other alcoholic drinks. Recently however I was in Nova Scotia on vacation and had your Jost Acadia pinot grigio. I just want to tell you how wonderful it was.